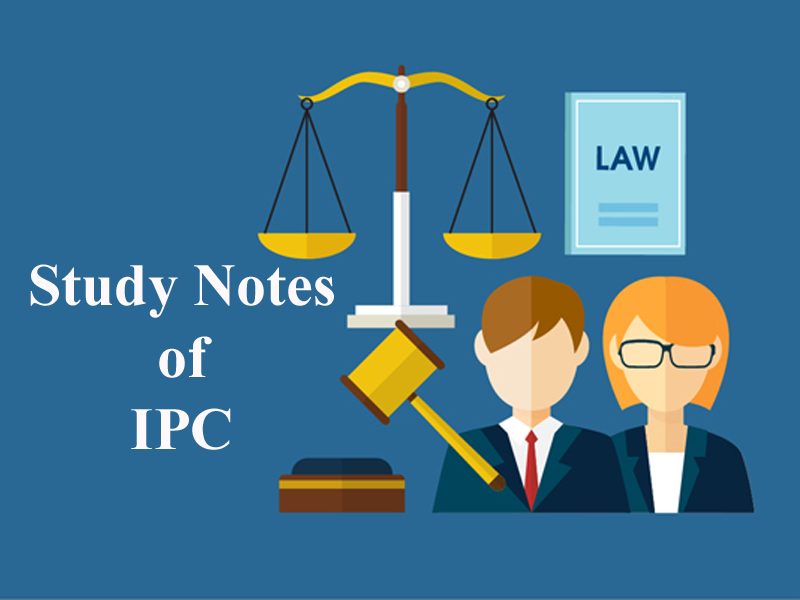 Here we are providing you updated and most relevant Study notes on IPC of Criminal Conspiracy for Law Entrance Exam. These study notes are highly recommendable for all those who aspire to crack CLAT, DULLB, AILET and other Law Entrance Exam. Section 120 (A): Definition of Criminal Conspiracy. (ii) An act may be lawful by illegal means. Explanation: It is immaterial whether illegal act is the ultimate object of such agreement or is merely incidental to that object. Ø End may be lawful but if one employs unlawful methods to achieve just object. He is guilty under this section. Ø One cannot conspire with one self. Ø Agreement between two human beings. Ø One natural and other legal person can not constitute conspiracy. Ø Husband and wife can hatch a conspiracy however under the common law there are same and one person. Ø Director (a Natural Person-A human being, naturally born) and a Company (a legal person -entities such as corporations, which are treated in law as if they are persons having rights and obligations) cannot conspire. Ø If “B” and “C” are charged for the offence of Conspiracy and “B” discharged then the remaining one cannot be charged. Ø Meeting of mind is essential. Ø Criminal Conspiracy is a continuing offence. Important: If the conspirators are discharge, from the illegal act performed by them even then they can be held liable for conspiracy. Ø Physical presence of conspirator is not essential at the scene of incidence. Section 120-A: Mere agreement between two or more person to commit an offence enough. Section -34: An illegal act must have taken place in furtherance of common intention. 2. End may be lawful but if one employs unlawful methods to achieve just object. He is guilty of criminal conspiracy. 3. One person can commit criminal conspiracy. 4. If “B” and “C” are charged for the offence of Conspiracy and “B” discharged then can the remaining one be charged? 7. Is criminal conspiracy a continuing offence? 8. “A” the director of a company and his company X Ltd who is a legal person conspire to kill Y. Will this amount to criminal conspiracy? 9. If in the previous question B an employee also conspires with them to kill Y. Is there a conspiracy? 10. X and Y want to construct a park in their locality. For this purpose they kill Z who has opposed their idea will they be held liable? Get the updated and most relevant study notes on IPC of Criminal Conspiracy for upcoming CLAT and other Law Entrance Examination.